We participate in GuideStar, the online standard for nonprofit accountability. any amount will make a difference . We need your financial help to operate and support the teenage orphans that have so few opportunities. Haven Bridge, Inc. is recognized by the IRS as a 501(c)(3) non-profit organization, and your donation may be tax deductible - as the law allows. We want to make it as easy as possible for you to make a financial contribution - please choose the method that you are most comfortable with. We also encourage you to consult with your employer to see if they offer any form of gift matching program - which can double or even treble the net effect of your generosity. With the American Express Donation Site, giving has never been so easy - or rewarding. Help the children by donating with your American Express card. Donations can be made in dollars or Membership Rewards® points. Your dollar donation is tax deductible and you will receive an e-mail receipt that meets IRS requirements as a record of your contribution. 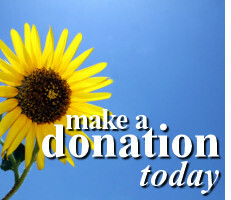 The site also enables you to set up recurring donations. Plus, you can earn one Membership Rewards point for virtually every dollar you donate on an eligible, enrolled Card (*a) (*b). Donate when you shop online - without paying any extra! Sign up for the 'Smile' program at AmazonSmile; select Haven Bridge as your preferred charity, and every time you shop online at Amazon.com, up to 0.5% of your purchase will be donated to our cause. Sign up for an account at iGive.com; select Haven Bridge as your preferred charity, and every time you shop online through the iGive portal we will receive a small commission on your transaction. You don't pay any extra, and our orphans benefit from your purchases at over 600 web stores like BarnesAndNoble.com, OfficeDepot.com, REI.com and SportsAuthority.com. (*a) Please note: American Express will deduct a transaction fee of 2.25% from your donation to cover processing costs. The Haven Bridge charity will receive your donation amount, minus the 2.25% American Express processing fee. This transaction fee is similar to or less than the processing fee the charity would pay if you were to charge your donation with your American Express Card through any other means (i.e., over the phone to the charity, through the charity's website, etc.). You will not be charged any additional fees for using the American Express Donation Site and the full amount of your donation is 100% tax-deductible. (*b) To be eligible to earn bonus points, you must be enrolled in the Membership Rewards program at the time of the donation and must charge your purchase on an eligible, enrolled American Express® Card. Terms and conditions of the Membership Rewards program apply. For more information visit www.americanexpress.com/rewards. Donation of Membership Rewards points are not tax deductible. (*c) PayPal retain approximately 2.9% of your donation as a fee. (*d) Network for Good and JustGive each retain approximately 3.0% of your donation as a credit card processing fee. Haven Bridge is a 501(c)3 tax exempt public charity focused on preparing orphaned children for independent living through programs offering professional counseling, financial assistance, continued education, self-sufficiency and vocational training.